Trenbolone is the most powerful injectable steroid known to man and holds a reputation as being the most effective drug for body recomposition & strength gain. Though it is classified solely as a veterinarian grade drug, so-called “wellness centers” claim to be legally selling it for human consumption. Why? Because it works and sells very well in the black market as a result. There is nothing like Tren, and without a doubt, its use is widespread among elite level powerlifters who are pushing their bodies to its physical limits in hopes of achieving success on the platform. That should be enough hype about Tren, for now. What the heck is it? Trenbolone is a 19-nortestosterone (19-nor) anabolic steroid that is structurally a modified version of Nandrolone. It's binding to the androgen receptor is much stronger than that of its counterpart and does not aromatize to estrogen. Tren is 5 times as androgenic as testosterone, while also 5 times as anabolic. 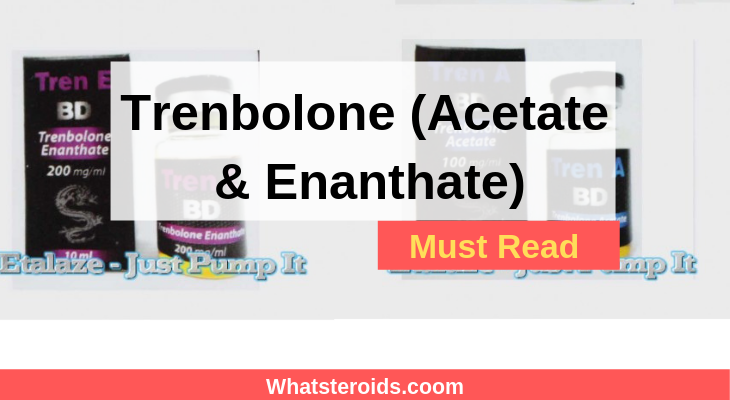 Trenbolone is arguably the most powerful drug that a strength athlete can run for an 8-10 week duration of time while yielding results that will surpass what Testosterone on its own can do. Trenbolone is also extremely versatile and can be used either as a compound for weight & muscle gain or for dieting down & retaining lean mass. 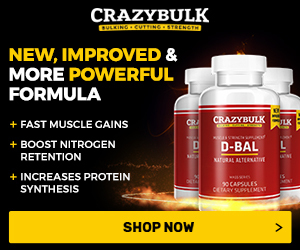 Tren is actually so powerful that using it will allow you to literally burn off body fat and put on lean mass at the same time – something that is usually impossible to achieve by athletes with training experience. Speaking of Ace, let’s touch upon the two most well-known variations of Trenbolone, which is simply the ester bonding used with it – Trenbolone Acetate, and Trenbolone Enanthate. The Ace version is fast acting and must be injected every other day. Most competitive athletes who have used Tren Ace will recommend that you even administer it daily, to better help maintain stable blood levels of it more than just every 2 days. Enanthate follows the same pattern as Testosterone Enanthate and is much slower acting with only having to inject twice per week. This being said, nearly every powerlifter will suggest you use Acetate instead of Enanthate – and I am in agreement with recommending Ace over Enanthate. If you are a first time user and aren’t sure of whether you can tolerate Tren’s potentially strong side effects, it will take longer for the drug to clear from your system using Enanthate versus having used Acetate. That’s 2 weeks of insomnia, night sweats, and cramping as opposed to just 2-3 days of side effects if you are susceptible to them. 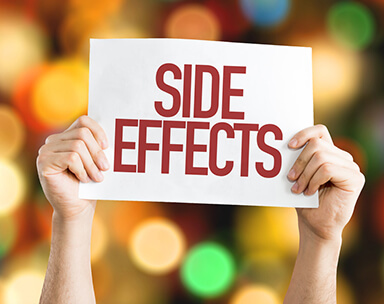 While these side effects aren’t as prominent running a reasonable dose of Tren, you never know how you will react to a drug until you actually use it for the first time. For that reason, Ace is going to be the better choice for you. Second, it is simply easier to maintain stable blood levels of Tren using Ace when it’s being administered every other day, or even daily. If you’re going to be using Tren, you need to keep its levels relatively stable to not only help mitigate side effects but also to optimize lean mass and strength gains while running it. Third, you really want Tren out of your system after meet day is over. There is no point staying on it when you are needing to shut down your cycle or cruise. Acetate is the smarter choice in this regard, where you can plot out your training cycle to incorporate it for 8-10 weeks towards the meet without having to consider lingering levels of it afterwards. With Enanthate being present for up to 2 weeks after its last injection, you have to limit your use of it during your planned training cycle as you don’t want to stay on Tren for too long. Ace is king. The general rule of thumb is to run Trenbolone for no longer than 10 weeks. Long term use of the drug is just too debilitating on the system, and can’t be ran safely for longer than 10 weeks. You may have heard of X lifter running Tren for 6 months straight and not showing any major side effects – but their bloodwork will indicate that they’ve done some serious damage to their organs by then. If you really want to push the envelope, 12 weeks should be the absolute maximum that you continuously run Tren. Ideally, you want Tren out of your system before exogenous Testosterone is also out, so that natural production isn’t as heavily suppressed when starting PCT. Typical first time use of Tren will have you running it at 300-350 mg weekly. This is achievable when using Ace, as its concentration is 100 mg/mL. That means you can either inject 50 mg daily, or inject 100 mg three times a week to reach the needed dosage. For those running Enanthate (with it being concentrated at 250 mg/mL), you can administer 0.75 mL twice a week to reach a dose of 375 mg weekly. Using more Tren than this amount is not needed when you’re running it for the first time, as you want to get a feel for the side effects you’re susceptible to while running it. 300-375 mg of Tren is more than enough to have a really good cycle along with Testosterone as your base.